Dakota Fight Gear gives back to the local community by providing affordable & quality gear for training by making it possible for children to enjoy martial arts. 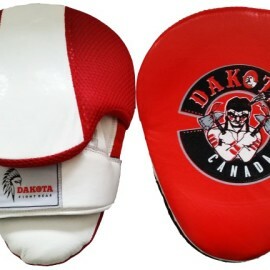 By Dakota Fight Gear sponsoring the Kamikaze Punishment Foundation they have generously made it possible to add more equipment to the facility such as heavy bags, pads, gloves, and Gi's. The owner of Dakota Fighter Gear is also a major sponsor of the Kamikaze Punishment Foundation's children's program, Be a Buddy not a Bully. Dakota Fight Gear played a key role in our N.W.T tour of Be a Buddy not a Bully by providing gifts for the children up north. We at the Kamikaze Punishment Foundation feel very blessed to have a local gear company step up to the plate to provide us with a sponsorship package in which all our members benefit tremendously from and that is real team work! By providing Kamikaze Punishment Foundation with a generous sponsorship package the community as a whole benefits tremendously as the cost savings are past on. Stay tuned for amazing specials. Passion, vision and the spirit of martial arts and sports fitness training are the cornerstones of all that Fighters Inc. does. Founded in 2011 with a global customer reach, Fighters Inc. of Edmonton, Alberta is a wholesale supplier of affordable, premium quality boxing and training (Martial Arts) equipment and apparel products for boxing and fitness enthusiasts in the competitive and recreational fitness arenas. Our customers range from the very young amateur to the mature and seasoned professional. Fighters Inc. embraces the tremendous personal benefits that our youth derive from learning the fundamental elements of personal fitness and martial arts training. Our mission is to help ensure that youth, especially those from less fortunate families, have every opportunity to realize positive life changes and personal growth to their greatest potential. We envision the greatly inspired determination of the romantic hero in life, the ‘underdog’ who, from their impoverished life through years of struggle, rises above their adversities to become a champion! Through training in sports fitness and the martial arts disciplines the individual learns to embrace philosophies of leadership, building character, personal development and growth, finding inner balance, personal fitness and weight control, healthy lifestyle, reduction of stress, improved physical and mental conditioning, integrity, perseverance, self-confidence and empowerment for success. 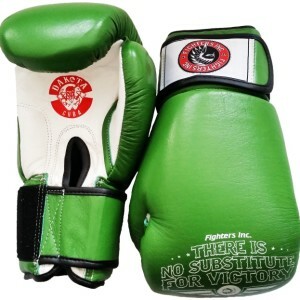 Our product inventory includes boxing gloves, fighting apparel/uniforms, MMA gloves, protective and training equipment including punching bags, speed balls, boxing targets and more. Design standards for the products we offer are premium and the lines we carry are made for long-lasting durability, safe training and competition experience. Our customers, whether at the amateur or champion level, need quality protective gear at affordable prices. Protective impact absorption is critical for all levels of training and competitive sports and our customers look to Fighters Inc. to deliver competitive, fitness, coaching and training equipment and apparel at reasonable cost. Our growing and loyal customer base ‘steps into the ring’ with the confidence of knowing that their equipment and protective gear measures up to the highest standards.